Almotamar.net,Saba - In its weekly meeting, Cabinet approved on Tuesday a draft law proposed by Finance Ministry on opening an additional appropriation of the state general budget for the current financial year 2008 amounting to YR 660,448,032,000. 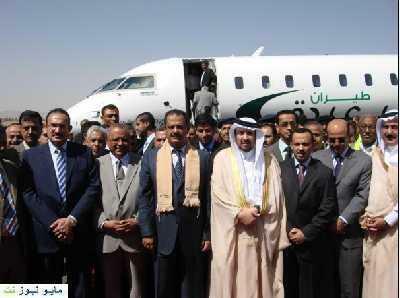 Almotamar.net,Saba - Prime Minister Ali Mujawar launched Saturday the low-cost domestic carrier Felix Airways' first flight from Sana'a to Aden. 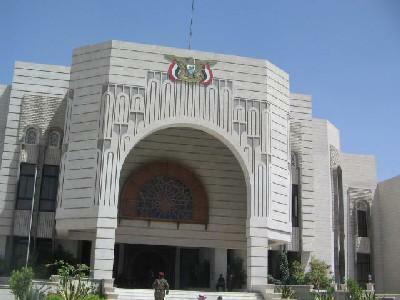 Almotamar.net - A delegation representing the Yemeni Finance Ministry started Tuesday a visit to Lebanon to study the projects for reforms carried out by the Lebanese Finance Ministry , among them modernization of administration of public spending and taxation administration.